Berlin feels a small Capital City (but has a population of3.5 million). A friendly, noisy open town. Bikes everywhere – no helmets (well 1 in 20) – weaving in and outs of the trams and cars. Trams, U Bahn and S Bahn criss-cross the City but the trams only exist in what was East Berlin – whether they never existed in the West or just not rebuilt after WW2 is unclear. Perhaps capitalism and trams don’t mix! I had not been there since the Wall came down. 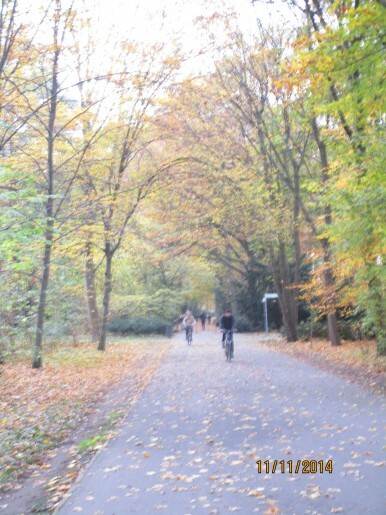 I had not realised, despite a coach tour of East Berlin at the time that the Old City was in the East, the only area of note in the West was Kurfurstendamm and the Tiergarten. The Wall remains central for visitors if not for the inhabitants. The museums are good but not as comprehensive as London – The Museum Island packs them all in on an island in the Spree . There are a few exceptions – the Jewish Museum – well worth a visit just to walk around – but you need to be prepared for the message – the Jews have been persecuted from the time when they were introduced by the Romans. 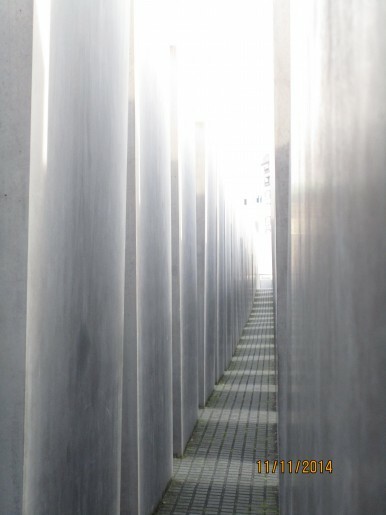 Also the Holocaust Memorial is very memorable. I had forgotten about Willy Brandt but there is now a permanent exhibition to him on the Unter den Linden. What a clever socialist politician – he knew where to put pressure and where to cool canny to get what he wanted – If Nicola Sturgeon as First Minister in scotland does just half as well with Westminster, Scotland will become independent in her life time.